This new extraordinary and lovely island, which has an elliptical shape with a wonderful white sandy beach and a rich vegetation has been recently opened in Baa-Atoll. The amusing vegetation seen on this island cannot be found in any other resort in the Maldives. However, the most outstanding and unique feature of this island, besides the fantastic white sandy beach, is the 1600 SQM large fresh water lake which is built as a biotope in the middle of the island. In this unique lake, with a lot of water lilies and aquatic plants, there is a swimming area without chlorine where you can relax with a calming swim. This picturesque lake is surrounded by 20 m high mangrove trees on one side and 20 m high palm trees on the other side. This island with its fresh water lake and the rich vegetation is unique in the Maldives. There is no other island like this in the Maldives. The amusing vegetation seen on this island cannot be found in any other resort in the Maldives. 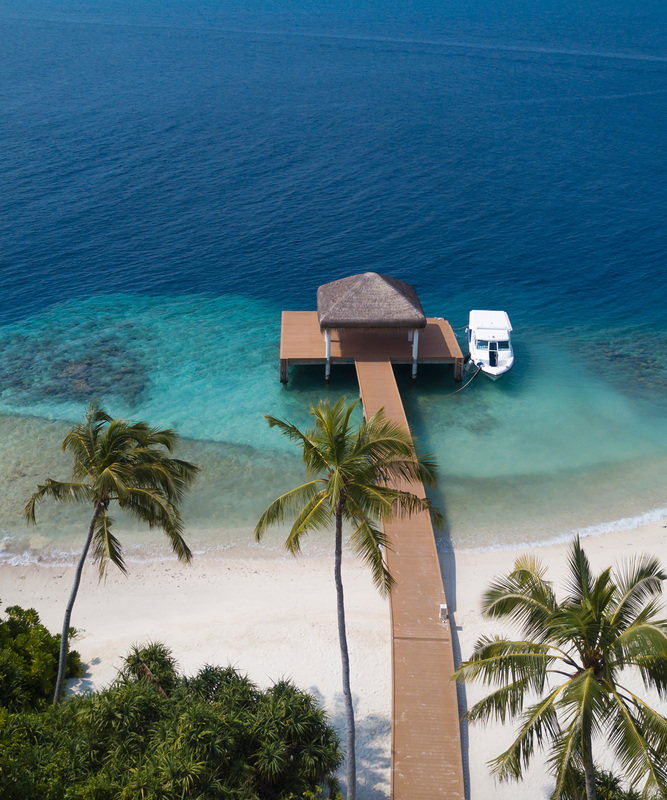 Located in the Baa Atoll, Dreamland is reachable by a 35-minute scenic seaplane flight over the Indian Ocean, or a 20-minute domestic flight to a nearby island Dharavandhoo airport followed by a 10-minute speedboat transfer to the resort. International flight details must be provided 7 days prior to arrival for arranging the transfers to the hotel. Seaplane journeys to Dreamland are available during daylight hours only. Guests arriving at Male’ International Airport on an international flight after 15:30 will be brought to the resort by Domestic Transfer (latest available flight at 23:00 hrs dep from Maleâ International Airport. Every effort will be made to arrange your resort transfer within 2 hours of arriving. Departing guests will be transferred to the airport at least 3 hours in advance of the scheduled international flight departure time. November to April is considered as the high season and often required to do advance bookings during this season to visit. May to November is considered as low season, you may find the best available rates with great offers during this season to visit.